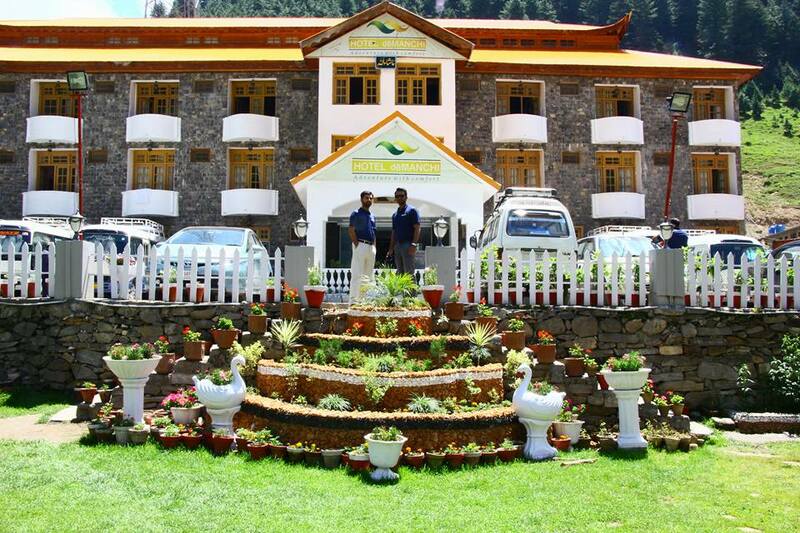 Book De’Manchi Hotel Naran on cheap rates | iMusafir.pk. MNJ Road, Naran, Kaghan Valley Pakistan. 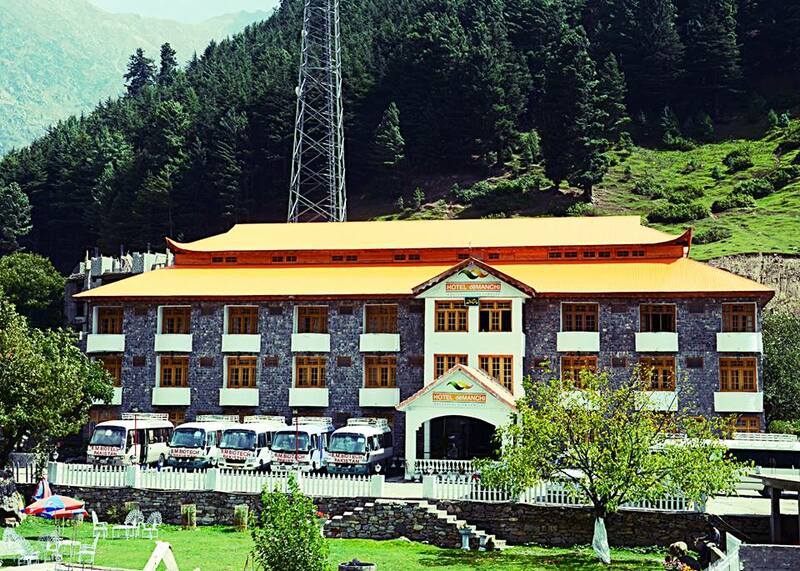 At 1888 feet above Sea level, Naran is the main centre of Tourism in the Kaghan Valley. It is located 133 Km from Abbottabad. It is located at the junction of Saiful Maluk Nullah with Kunhar River where most visitor stay in Naran for few days while enjoying the various day excussions to lake saif ul Muluk, Lalazar, Lake Lulusar and Babu Sar Pass.There are also several short walks and tracks around Naran. Narah is well populated with amenities at an altitude of 2465 meters above sea level. The HOTEL de MANCHI looks like an elegant, graceful and sumptuous building with princely looks at a commanding elevated position surrounded by lofty mountains. 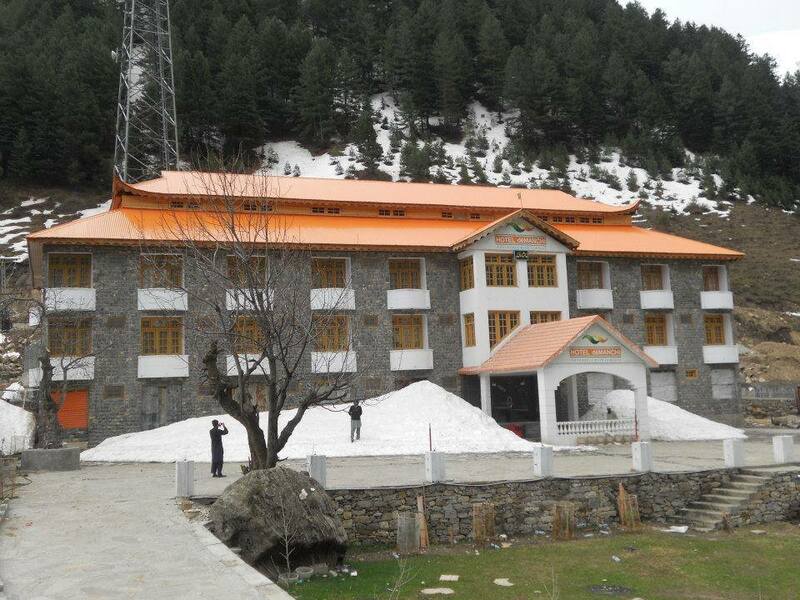 The peaks covered with snow over looking its striking and pleasing view add to the grace and beauty of Naran itself. HOTEL de MANCHI is a new accession with all the comforts, amenities and living with ease & tranquility.